wrote to diffuse my struggles and escalate my happy moments. my lappy laughs at my overtures. stop myself from venting out my experiences & varied hues of my life. 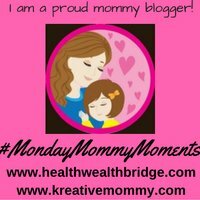 past, present and future and chose to become a Mommy blogger. cheerfulness to my life and I reminiscence and cherish those glorious flashes. bundle of joy close to your heart…it can be only relished. punishment and they start abhorring parenting. challenges coming in my way. Happy Souls and an asset to your life and society. Your advice would be very useful to present day moms who are mostly from nuclear families…. Yes Patience n been happy is the mantra of a happy life at all fronts of life.